After defeating Anaheim in Game 6 of the Western Finals last night, the Nashville Predators are headed to the Stanley Cup Final for the first time in their 19 year existence. And the reason why is the man between the pipes. Pekka Rinne’s play throughout the 2017 postseason has been unbelievable to put it lightly. The 34-year-old Finn has been in net for all 12 of the Predators’ wins and has posted a 1.70 GAA alongside a .941 Sv% and two shutouts, all of which lead playoff teams. Coming into the playoffs as the West’s second Wild Card team, not many people (myself included) were giving Nashville much of a chance, especially against powerhouse Chicago in the opening round. However, no one at all fathomed what happened next. The upstart Preds swept the Blackhawks, including back-to-back shutouts in Games 1 and 2. Rinne silenced the usually-potent Chicago offense and limited the team to just three goals in the entire series. It was a masterful performance by the netminder, one that captivated the League. The Predators did not have as easy a time with the Blues and Ducks, but knocked off both in six games to punch the franchise’s first ticket to the Cup. Opposing them will be either the Pittsburgh Penguins or the Ottawa Senators. After the Sens’ embarrassing performance in Game 5 on Sunday, Ottawa’s Magic 8-Ball reads “don’t count on it”. Barring a miracle, the Penguins will repeat as Eastern Conference Champions tonight after Game 6. However, regardless of the eventual winner of the Stanley Cup, the Conn Smythe Trophy for postseason MVP should be awarded to Rinne, for two reasons. The first is the obvious one, Rinne is why Nashville has made it this far; without his heroics, the Predators may have not even gotten past Chicago. The team has received a well-rounded assault from its entire lineup led by Filip Forsberg, but that offense would not have been enough if not for their goaltender. No player in the NHL currently is more valuable to his team than Rinne is to the Predators. The second reason is the more poignant one, and it will cause problems with anyone who loves the NHL’s golden geese Sidney Crosby and Evgeni Malkin; Rinne has been the best player on any team throughout the playoffs. 34 is about the age where netminders begin to decline, but Rinne has saved the best performance of his career for when it matters most; allowing just 29 goals in 16 games. His goals against statistic proves that the four games Nashville has lost haven’t been his fault. The Conn Smythe going to a member of the losing team is a rarity and has only happened five times in Finals history. The most recent was in 2003 when Jean-Sebastian Giguere was honored for helping Anaheim pull off a similar miracle run. That, coupled with the fact that Crosby was given the award last year when Matt Murray was overwhelmingly deserving, makes it seem like Rinne’s odds are slim unless Nashville wins. And they very well could be, we all know how political the NHL is and how much it loves to sell its top stars. Crosby or Malkin could easily be given the award simply because of their names. But, in my opinion at least, there hasn’t been a more obvious choice for the award in years. Rinne’s performance this postseason will become legendary and unless Nashville is swept in the Finals and loses each game by blowout, the Conn Smythe Trophy should be locked up. Regardless of who hoists the Cup when it’s all said and done, Pekka Rinne should be the one who is called postseason MVP. The Nashville Predators and their fans are saying goodbye today as 37-year-old forward Mike Fisher has announced his retirement from the NHL. 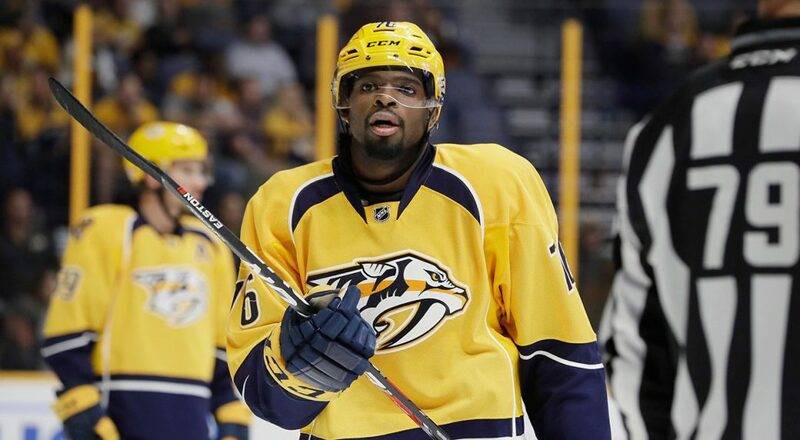 Fisher, 37, was unable to find a new home on the free agency market after posting 42 points in 72 games last season for Nashville in the final year of his two-year, $8.8 million deal. “This job I’ve been able to have for a majority of my life is so much fun” Fisher said in a special post on the Tennessean. “To help create that entertainment and to see the joy we can bring to people is such a unique and exciting opportunity. I’ll miss my teammates, my coaches and the game itself. Fisher, the sixth captain in franchise history, finishes with 585 points in 1,088 career NHL games across 17 seasons in the league. “Knowing we were so close to winning it all in June only makes it more difficult to leave it behind, but I do so with hope. Endings are always tough, but I believe when something ends, there are new beginnings, new opportunities and new things to be excited for, too. Fisher, who was the 44th-overall pick in 1998 draft, played 10 seasons with the Ottawa Sentors before being traded to the Predators in 2011. Fisher became the team captain in 2016 after Nashville Shea Weber was traded to Montreal last offseason.